We often talk about the need to preserve records. The reality is that historically records were paper-based and took up lots of room. Then they were stored on various media, which also took space. Now many are stored digitally (still necessitating physical storage space as well as forms of backup). Since it opened and began accepting records in 1935, the National Archives has had to face the issue of space. Housing the records of the Federal Government is no small task, even when only 1-3 percent of the government’s records are held in perpetuity. It’s a fascinating to read about the efforts by NARA to ensure enough space for all the records that it does have to hold in perpetuity. 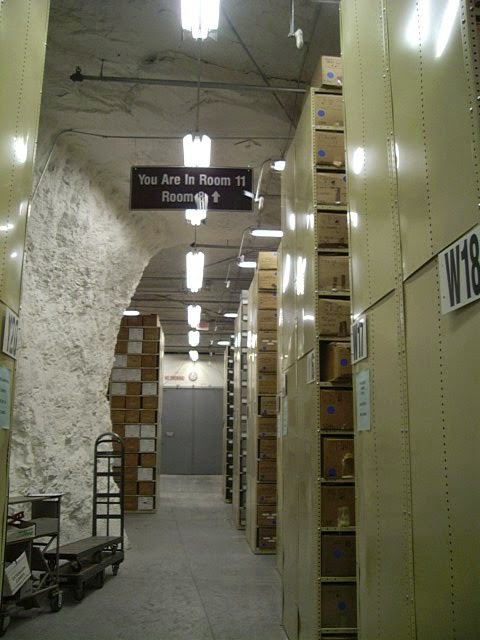 Did you know that NARA has four underground repositories? Many of you may be familiar with the Mormon Churches Granite Mountain Vault. 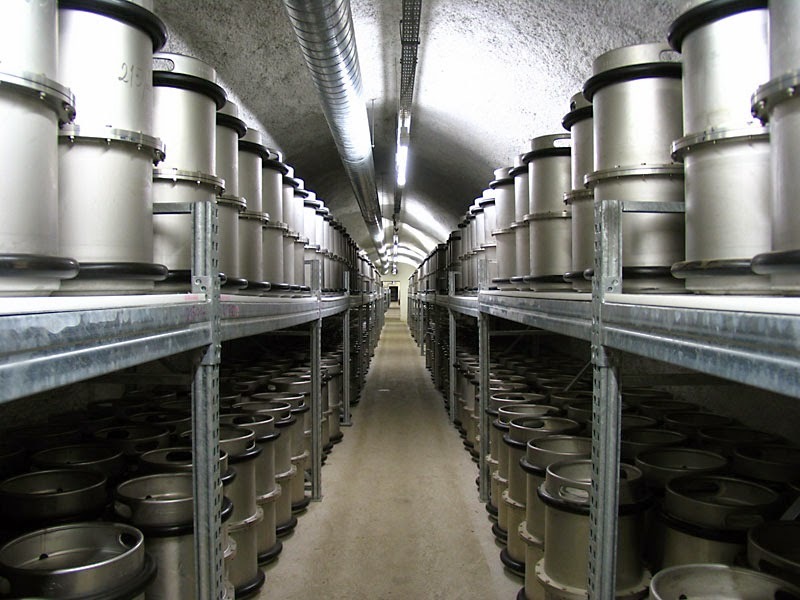 Most underground storage (for archival purposes) takes advantage of existing mines, Adaptation of Underground Space (Preservation, National Archives) – this article explains many of the advantages and challenges of using such spaces. The US is not the only nation to use mines for storage. Read about the UK in Salted away: Cheshire salt mine to store National Archives and Germany, Barbarastollen underground archive. And, one doesn’t have to be a national archive nor a world-wide religion to take advantage of underground storage. Iron Mountain has a National Date Center in Pennsylvania which is used by the Smithsonian Institution and provides services, at a price. Though most of our community archives will not end up stored in underground vaults, it is a reminder the preservation of massive quantities of created records (regardless of media) takes forethought and preparing for any type of eventuality. Have you heard of other creative places used for records storage? Visualizing 1850s Richmond (VA) -- quite neat! Should photographing public records be FREE? Today is Election Day! Did Your Ancestors Vote?